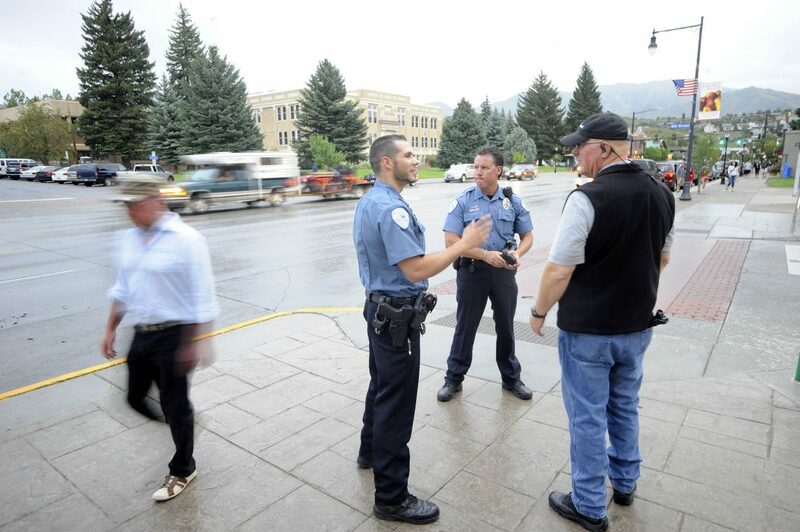 Steamboat Springs Police Department officer Kiel Petkoff talks with police chaplain Dave McKnight, right, and officer Nick Bosick on Friday night at Sixth Street and Lincoln Avenue. 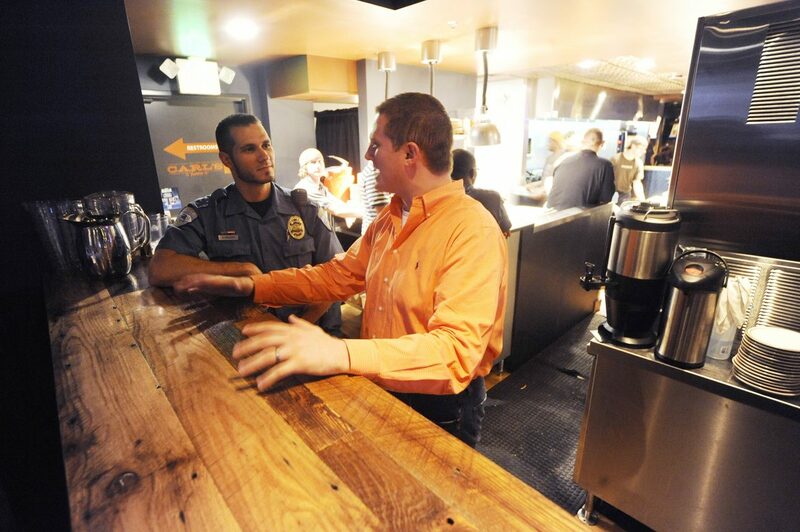 Steamboat Springs Police Department officer Kiel Petkoff checks in with Carl’s Tavern co-owner Collin Kelley on Friday night. 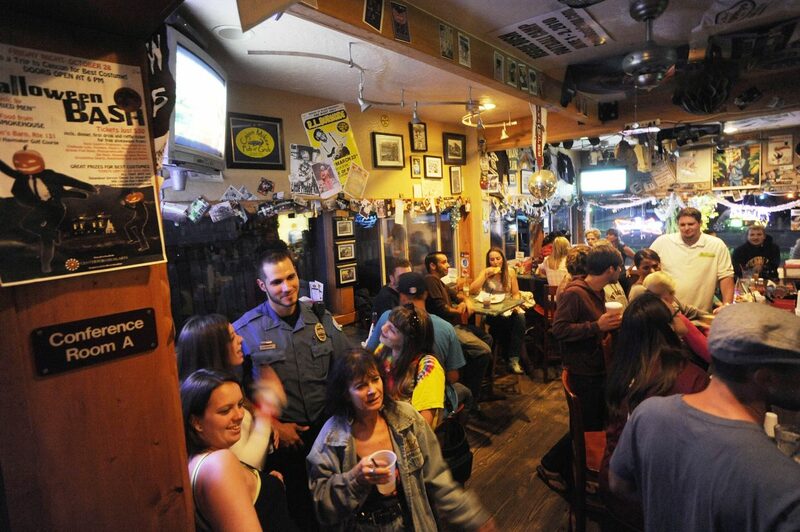 Steamboat Springs Police Department officer Kiel Petkoff visits with patrons Friday night at Sunpie's Bistro. Petkoff has been assigned to the downtown area as the new downtown resource officer. 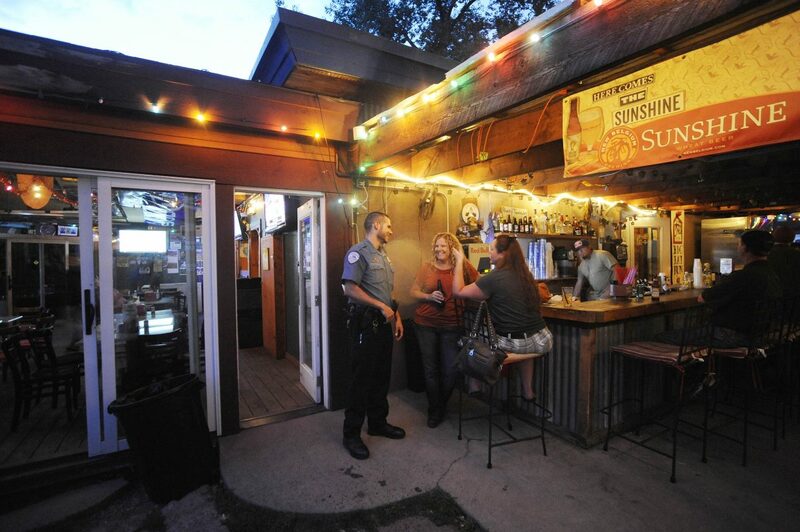 Steamboat Springs Police Department officer Kiel Petkoff visits Friday night with Sunpie’s Bistro patrons Jimiann Murphy, right, and Denise Wiese. 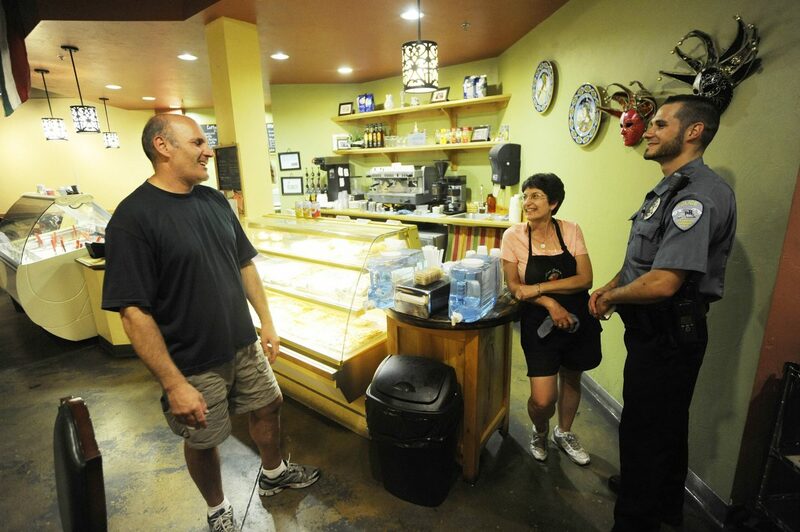 Steamboat Springs Police Department officer Kiel Petkoff checks in with Ciao Gelato owners Massimo Erspamer and Lynne Romeo on Friday night.